The Spaniards had begun exploring the area north of mid-Mexico in the 1500s. Rather than looking for the fabled Northwest Passage and mapping unknown territory and its natural history as Lewis and Clark had been commissioned, Spanish/Mexican expeditions were undertaken not by explorers but by the military and Catholic missionaries. Their goals can be boiled down to three: hunting for gold and silver; protecting far-flung Spanish claims of northern empire from English and Russian exploration and colonization; and, of course, saving souls. There are many historians who think at least one such expedition can compete with Lewis and Clark for sheer magnitude and results. 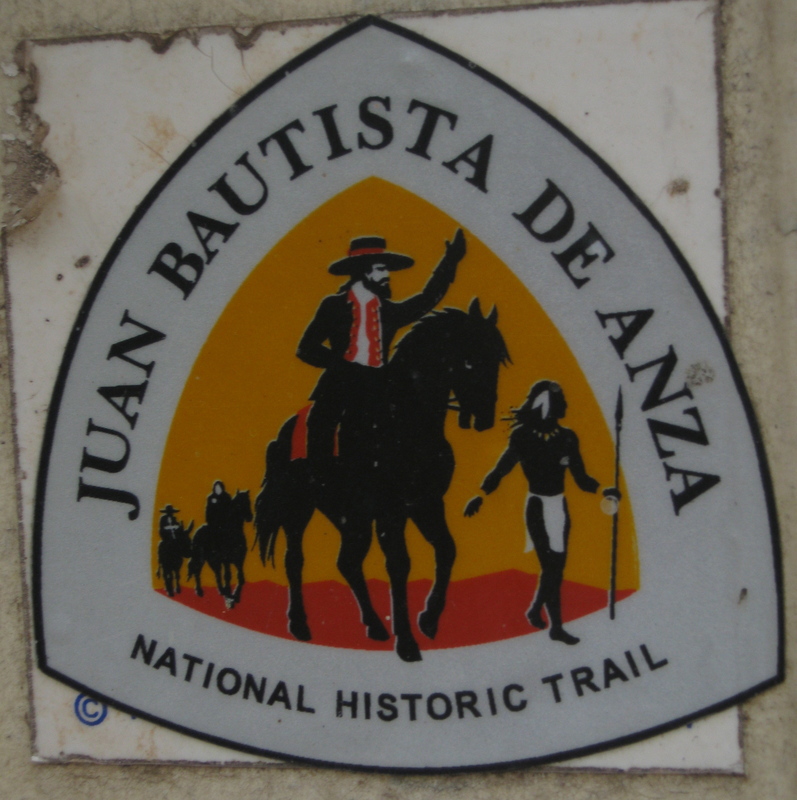 That’s the two trips Juan Bautista de Anza the Younger, a Basque military man and head of the Presidio at Tubac (then in Sonora Mexico, now in deep southeastern Arizona) took from 1774—1776. 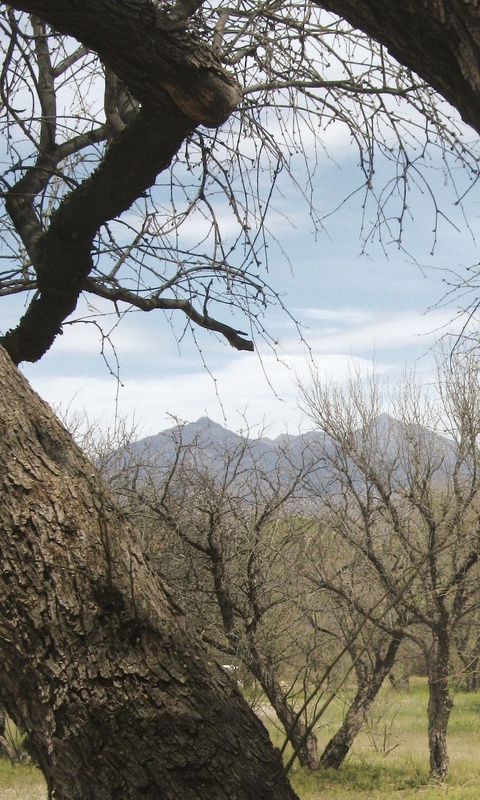 Earlier this spring, we followed a small portion of their journey, a four mile trail which connects the Mission at Tumacacori to the Presidio at Tubac. 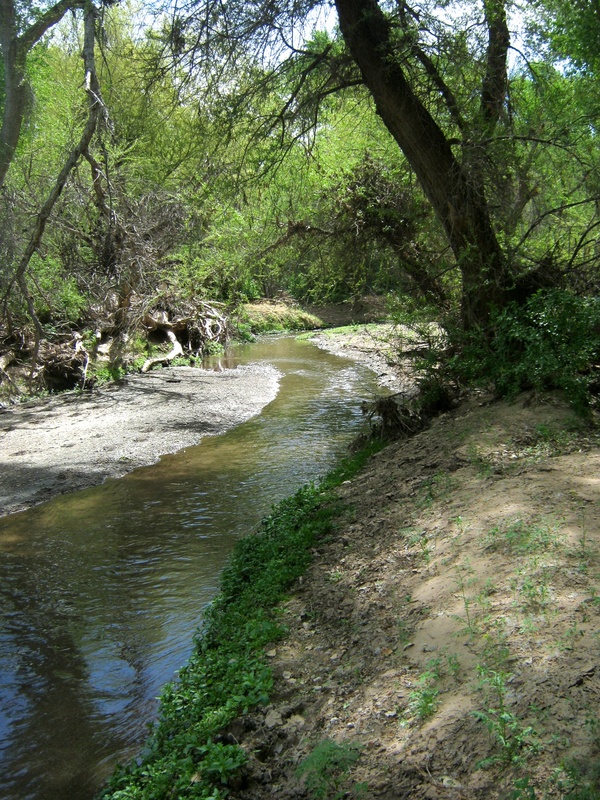 Like Lewis and Clark, de Anza was looking for a land-based trade route, in this case across deserts and up the coast from northern Sonora (now Arizona) to Alta California. But there was also another goal: to found a Presidio and mission at San Francisco. 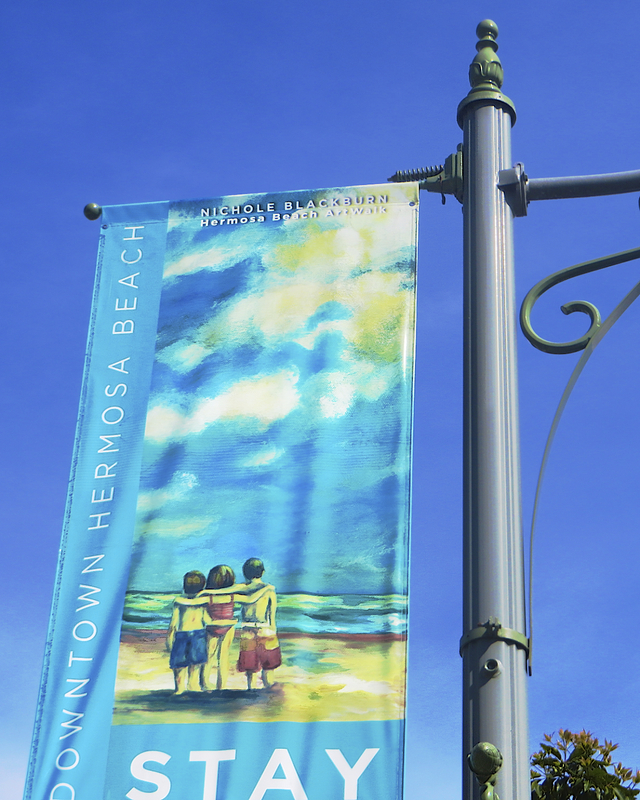 This colony of Spanish settlers, military personnel and missionaries would establish an “on-the-ground” beachhead of Spaniards to protect its claims in Northern California. 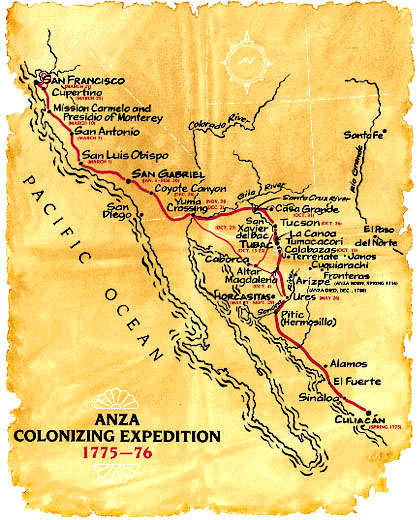 After successfully scouting Indian trading and mission travel routes in 1774, de Anza returned to Mexico where he organized a large group of colonists (30 families totaling about 240 men, women and children) and military escorts to travel the 1200 miles to the Presidio of San Francisco. They must have looked like a traveling town as they set out: families, military, cowboys, mule packers, Indian guides and 1000 head of live stock. The group was accompanied by Franciscan priest Pedro Font. He and de Anza kept journals detailing the journey. Setting out on October 2, 1775 from San Miguel de Horcasitas (north of Hermosillo in Sonora), they headed north through Tubac (where de Anza recruited Basque friends and fellow military men), Mission San Xavier del Bac, and Casa Grande, then headed west to Yuma Crossing where Quechan (Yuma) Indians provided them aid in crossing the Colorado as well as feeding them beans, squash, corn and wheat and, according to de Anza, more than 3000 watermelons. They labored across the Mojave Desert, across the San Gabriel mountains and on to Mission San Gabriel Arcangel. From there they headed up the coast to Mission San Luis Obispo, arriving at Monterey five months later on March 28, 1776. Along the way eight children were born. Only one person died, a woman probably in childbirth. In June, 1776 the colonists, led by de Anza’s second in command, Jose Joaquin Moraga, established the Presidio and Mission at San Francisco.